Alternative to Square that’s a Pure-Play Payments Company. Do a little research and you’ll see Crypto is here to stay, and it’s company’s like NetCents Technology Inc. (CSE:NC / OTC:NTTCF) that are pioneering the new face of Crypto and where it’s headed! Sentiment surrounding the cryptocurrency market is still extremely bullish. A Cambridge University study showed a near doubling of cryptocurrency users in 2018. The most recent FCAS25 study also signaled the market’s health is far stronger today than last year—just 10pts shy of a previous high. In other words, the future looks bright for this market and companies like NetCents Technology Inc. (CSE:NC / OTC:NTTCF), which enables crypto adoption for users serving 55 countries, with 36 fiat currencies, and over 3 million merchants. 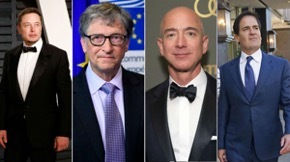 Several big names and companies are stepping up to endorse cryptocurrencies through their investments, including billionaires Bill Gates, Peter Thiel, Mark Cuban, Elon Musk, (possibly) Jeff Bezos, and several other new billionaires who made their fortunes from crypto. Other such as Gwyneth Paltrow, Ashton Kutcher, Snoop Dogg, and Madonna have all publicly endorsed cryptocurrency adoption as well. Perhaps the most important endorsements of cryptocurrencies have been that of major companies and financial institutions that have embraced this new future of payments, including Visa Inc., Square, Inc., JPMorgan Chase & Co., social media giant, Facebook, Inc., and even stock exchange Nasdaq, Inc.
Visa Inc. is actively seeking a full-time Technical Product Manager, for its new Visa Crypto Team. According to the posting, the new hire will manage a product roadmap and collaborate with the Visa Research team to design and develop new products. The posting sparked massive excitement in the crypto space, especially given that Visa is one of the largest electronic funds transfer companies in the world, with more than $20 billion in revenue in 2018. Ahead of Visa’s official entry into the crypto space, NetCents Technology Inc. (CSE:NC / OTC:NTTCF) has already gained access to over 3 million merchants and is active in over 55 countries, with the ability to process payments in 36 fiat currencies. As well, the company has a beta program in development for its own cryptocurrency credit card set for launch in Spring 2019, which will include the use of Bitcoin, Litecoin, Ether, and Bitcoin Cash. The cryptocurrency credit card will pull directly from the user’s NetCents wallet and can be used anywhere Visa is accepted. A growing number of merchants (both large and small) are using Square Inc.’s payment tech at the point-of-sale (POS). CEO Jack Dorsey (also head of Twitter) has also announced an effort to hire a staff directed at cryptocurrency, looking for crypto engineers and a designer. These new roles will work towards advancing an accessible, Internet-based financial system that benefits the greater community. As an added potential perk, Dorsey has even offered these new hires the option to be paid in Bitcoin, should they choose to do so. Already built with cryptocurrency in mind, the NetCents Technology Inc. (CSE:NC / OTC:NTTCF) platform offers merchants full integration within an array of POS terminals, including mobile payment terminals, countertop payment terminals, mobile POS solutions, smart PIN pads, as well as compact mobile payment terminals. So far, accepting cryptocurrency for merchants large and small comes with an exceptionally high settlement fee and transaction cost. NetCents Technology Inc. (CSE:NC / OTC:NTTCF) comes in with savings on crypto transactions of 1.0–3.5% for lower risk merchants, and 3-7% for high risk merchants—depending on the size of the transaction. This type of savings can be a game changer for merchants of all sizes. Major financial institution JPMorgan Chase recently became the first US bank to create and successfully test a digital coin, called the JPM Coin, which represents a fiat currency. The JPM Coin is set to use blockchain-based technology, enabling instantaneous payment transfers between institutional accounts. According to the bank itself, the JPM Coin isn’t necessarily money, rather a digital coin representing United States Dollars, held in designated accounts at JPMorgan Chase N.A. The JPM Coin will always have a value equivalent to one US dollar. JPM Coins are in place to drastically reduce the typical settlement time. In order to further aid the banking sector, NetCents Technology Inc. (CSE: NC / OTC: NTTCF) has also recently launched its own Crypto Banking Stack (CBS), enabling financial institutions to offer cryptocurrency services, and allowing for a low-cost crypto ready processing solution to be quickly implemented without the requirement for an extended and costly development cycle. Much like JPMorgan Chase, social media giant Facebook Inc. is developing its own cryptocurrency, called the FaceCoin. Details surrounding the cryptocurrency are still murky to date, with some analysts in the crypto sector being skeptical that the FaceCoin will be a cryptocurrency at all. Facebook is also recruiting its own team of blockchain experts, including a Technical Program Manager of Marketplace Payments Blockchain. The plan is to introduce a digital coin meant for subsidiary messenger platform, WhatsApp’s, billions of active users. Rather than have a fixed amount of currency that fluctuates in price, depending on demand, FaceCoin will utilize a fixed price and a variable amount in circulation, and is rumored will either have its value pegged to the US dollar, or a combination of the dollar, euro, and yen. Stock exchange Nasdaq Inc. announced its intention to release the “world’s first full-stack cryptocurrency ecosystem”, through a collaboration with Bcause LLC, a crypto startup. Bcause uses Nasdaq’s trading, clearing, and market surveillance technology, and expects to launch its spot cryptocurrency market in the first half of 2019. Bitcoin and Ethereum liquidity indices already went live on Nasdaq in early 2019. It has already on-boarded BLX and ELX to increase price transparency in the crypto markets. In a move to enable utilizing capital currently locked in Bitcoin, ETH and various other altcoins, in order to foster the raising of non-equity capital for companies, NetCents Technology Inc. (CSE:NC / OTC:NTTCF) has partnered with ILO Crypto (or “ILOCX”). The joint effort allows crypto holders to put their capital to work—unlocking hundreds of billions of dollars that are currently sitting in crypto. As NetCents Technology Inc. (CSE:NC / OTC:NTTCF) grows its user base, and increases upon its access to merchants on the platform, they are getting very well positioned in the market now, as cryptocurrency adoption as a whole continues to grow. . The latest cryptocurrency study by Cambridge University showed a substantial rise of 94% more users between 2017 and 2018. Now, the study utilized a variety of survey data to come up with their numbers and stated that their data represents individual users and not business clients. It included hobbyists, retail investors, and consumers/users seeking better payment alternatives or investment opportunities with cryptocurrencies. In 2017, there were approximately 80 million user accounts. That number rose sharply to approximately 150 million accounts. Even the number of users verifying their identity is on the rise, moving from 20 million in 2017, to 40 million verified user accounts in 2018. With the advent of the NetCents Card (a cryptocurrency credit card that pulls directly from their NetCents wallet), the field of merchants that can accept cryptocurrency will explode to over 40 million. The card will be designed to be accepted wherever Visa is accepted and will be able to pay from the NetCents eWallet of any NetCents account holder. Of the more than 2,100 recognized cryptocurrencies being traded on nearly 17,000 markets, the current market cap of the cryptocurrency market is more than $143 billion (as of March 30, 2019)—with more than $33 billion in volume being traded daily. Bitcoin is still the dominant player in the sector, worth more than half of the entire market at 50.8%. The NetCents Technology Inc. (CSE:NC / OTC:NTTCF) platform is built to instantly settle all cryptocurrency payments in a way that guarantees merchants receive full fiat value of the purchase, less a small transaction fee. The secure and simple-to-use platform handles multiple currencies, with full-time support. Where it excels is its seamless ability to handle both crypto-to-crypto and crypto-to-fiat transactions. Its instant settlements provide merchants with guaranteed protection against market volatility and liquidity issues normally associated with processing cryptocurrency transactions. Merchants appreciate the benefits of lower fees, faster processing, and the leveraging of instant settlements without being exposed to the risks or price fluctuations inherent with cryptocurrencies. Making the decision easier for merchants, NetCents offers several appealing selling points, including low transaction fees (delivering a savings of 3-9% per transaction), instant settlements, and the ability to accept fiat, credit card, and/or cryptocurrencies equally— NetCents has even put forth a proprietary cryptocurrency credit card that pulls directly from the user’s NetCents wallet. Perhaps even more important is that NetCents has eliminated the ever-present chargeback issue that’s inherent with credit cards. Fraud is a problem costing the economy tens of billions per year, which secure transactions made possible by the NetCents platform allows merchants to avoid. In late March 2019, NetCents entered into a merchant agreement with Surge365, a direct sales travel industry company with global reach. The deal will integrate the NetCents Merchant Gateway into the Surge365 platform, enabling the partner to accept and process international membership subscription transactions in cryptocurrency. The aim is to work towards offering cryptocurrency as a payout option for company residuals and bonuses, ranging between $1,000 to $1 million. Earlier in the same month, NetCents entered another agreement to process cryptocurrency payments for ILO Crypto (“ILOCX”). ILOCX is a platform which raises non-equity capital for companies in a unique way, by selling Initial License Offerings (ILOs). These ILOs are a revenue-based method of raising capital, giving buyers the right to promote and/or sell an underlying product or service and receive royalties based on the gross revenue of the company. Future agreements with large financial institutions could also be on deck soon, given the launch of NetCents’ Crypto Banking Stack (CBS). This new offering enables Financial Institutions to use their existing hardware and software to offer their clients access to a fully-integrated cryptocurrency processing and transaction solution. Once integrated through the CBS API, Financial Institutions can offer their customers crypto banking services accessible via their current online bank profile. These new crypto bank accounts will have the same functionality as standard chequing and savings accounts. Implementation would also include the ability to add various crypto accounts/wallets, transfer, deposit, withdraw, make a payment, view transactions; and the ability to link crypto bank accounts to existing debit cards. NetCents Technology Inc. (CSE:NC / OTC:NTTCF) has also recently expanded its merchant reach and Gateway integrations to now support merchants in over 55 countries and 36 fiat currencies. NetCents now has access to over 8,000 banks internationally, and merchants in countries including China, Japan, Australia, Caribbean, South America, European Union, England, and India. These merchants and institutions now have the ability to accept crypto payments with zero volatility risk, by using NetCents. So far, the company has entered into agreements with more than 20 partners. In 2019, NetCents Technology Inc. (CSE:NC / OTC:NTTCF) has added multiple partnerships each month, with what appears to be a continual steady stream to come throughout the year. Building out the platform for NetCents Technology Inc. (CSE:NC / OTC:NTTCF) is its competent team of payment tech developers and revenue specialists who each bring decades of experience in building and financing payment platform startups. CEO and Co-Founder, Clayton Moore, is an industry-leading entrepreneur in the payments space, with over 15 years of experience having began his career in 2003 with the founding of gift card payment platform, Cybux. After selling Cybux in 2006, Moore founded NetCents which has evolved to become the transactional hub for all cryptocurrency payments. His expertise has been sought by key figures in the online gaming industry, and has implemented payment platform solutions for some of the world’s largest poker sites. He currently consults with Fortune 500 corporations on their integration and payment needs, including one of the largest resorts and casinos in the world, MGM Resorts International. Joining him is President and Chief Operating Officer, Gord Jessop, who also brings 25 years of management and entrepreneurial experience, having held senior management positions with major Canadian lending institutions and GE Capital Insurance. His extensive practical experience includes economic analysis, risk assessment, project financing, internet revenue modelling, interactive website design as well as developing business/revenue models for a variety of companies and business ventures in such diversified industries as: Energy Technology, Retail Grocery, E-commerce, Television and Education. Award-winning strategist Chief Revenue Officer, Jenn Lowther, brings over 11 years of experience in corporate and campaign strategy at top agencies in North America. Her work has benefitted a range of clients from local brick and mortar businesses to major Fortune 500 clients. Her role with the company is to conceptualize and manage innovative strategies and campaigns to drive partner acquisition, revenue, user growth, and brand awareness for NetCents. Serial entrepreneur Chief Technology Officer, Mehdi Mehrtash brings over 20 years of IT experience to the NetCents team. He too has worked with a diverse field of companies that include Fortune 50 companies. Mehdi founded Globalsys, an IT solution services agency in 200, and co-founded Persel Media in 2004, as a marketing and merchandising agency that worked to get clients’ products on the shelves of large retailers. He has been involved in the crypto and blockchain space since 2008, and brings a deep understanding of cryptocurrencies and related tech to the team. NetCents Technology Inc. (CSE:NC / OTC:NTTCF) has already established a network of over 3 million merchants, in over 55 countries with 36 fiat currencies. With its upcoming 2019 release of its proprietary cryptocurrency credit card, NetCents Technology Inc. (CSE:NC / OTC:NTTCF) is about to make itself accessible anywhere that MasterCard or Visa is accepted. This launch will bring cryptocurrency capabilities to over 40 million merchants worldwide. Boasting a key benefit that appeals to merchants everywhere, NetCents Technology Inc. (CSE:NC / OTC:NTTCF) provides an instant settlement on cryptocurrency transactions. This feature increases security and decreases volatility for merchants willing to accept cryptocurrencies for their products. With transaction fees lower than leading POS providers, NetCents Technology Inc. (CSE:NC / OTC:NTTCF) can outcompete with processors. The NetCents platform even comes in at more than 1% less per transaction than payment giant, Square Inc. and others. With an ultra-low flat fee of 2.99% on every transaction, NetCents can save merchants a whopping 3-9% on each cryptocurrency transaction they receive. NetCents Technology Inc. (CSE:NC / OTC:NTTCF) was built and founded by industry-leading experts, with decades of experience in payment processing and revenue generation. CEO and Founder Clayton Moore has been in the payment business since 2003, and his expertise is sought after by several industries including online gaming, and MGM Resorts. His well-rounded team has experience working with companies of all sizes, from startups to Fortune 50 moguls. With the launch of its Crypto Banking Stack (CBS), NetCents Technology Inc. (CSE:NC / OTC:NTTCF) may have presented major banks with the solution to their cryptocurrency challenges. The CBS enables Financial Institutions to use their existing hardware and software to fully-integrate the ability of their clients’ accounts to use cryptocurrency in a seamless transaction, that’s too economic for the big banks to ignore. Adoption of the NetCents Technology Inc. (CSE:NC / OTC:NTTCF) platform has been a steady stream of deals. Many new partnerships have been announced over the last few months, including with the travel industry, ILOCX for innovative corporate financings with crypto, and several others. As of March 2019, the company has signed on over 22 partners, and each month seems to bring multiple new agreements that help grow the company’s reach. The momentum is clearly positive in terms of deal flow. While all information is believed to be reliable, it is not guaranteed by us to be accurate. Individuals should assume that all information contained in our newsletter/report/commentary piece/article is not trustworthy unless verified by their own independent research. Also, because events and circumstances frequently do not occur as expected, there will likely be differences between the any predictions and actual results. Always consult a licensed investment professional before making any investment decision. Be extremely careful, investing in securities carries a high degree of risk; you may likely lose some or all of the investment. Furthermore, it is certainly possible for errors or omissions to take place regarding the profiled company, in communications, writing and/or editing. Nothing in this publication should be considered as personalized financial advice. We are not licensed under any securities laws to address your particular financial situation. No communication by our employees to you should be deemed as personalized financial advice. Please consult a licensed financial advisor before making any investment decision. This is a paid advertisement and is neither an offer nor recommendation to buy or sell any security. We hold no investment licenses and are thus neither licensed nor qualified to provide investment advice. The content in this report or email is not provided to any individual with a view toward their individual circumstances. USA News group is a wholly-owned subsidiary of Market IQ Media Group, Inc. (“MIQ”). MIQ has been paid a fee for NetCents Technology Inc. advertising and digital media from the company. There may be 3rd parties who may have shares of NetCents Technology Inc. and may liquidate their shares which could have a negative effect on the price of the stock. This compensation constitutes a conflict of interest as to our ability to remain objective in our communication regarding the profiled company. Because of this conflict, individuals are strongly encouraged to not use this newsletter as the basis for any investment decision. The owner/operator of MIQ intends to/has purchased shares of NetCents Technology Inc. through a private placement and does not intend on selling any shares within 72 hours of this updated publication date (April 9, 2018) after such point we reserve the right to buy and sell shares in the open market, no further notice will be given. By reading this communication, you agree to the terms of this disclaimer, including, but not limited to: releasing MIQ, its affiliates, assigns and successors from any and all liability, damages, and injury from the information contained in this communication. You further warrant that you are solely responsible for any financial outcome that may come from your investment decisions. USA News Group is a financial media company whose focus is to provide readers with financial news and content on latest trends and happenings in the financial industry.